Adenia stylosa is a pachycaul shrub or liana forming a tangle of twisted, succulent stems radiating out from an extraordinary hard, conical, irregular, green caudex looking like a mountain shaped candle with melting wax coming down. 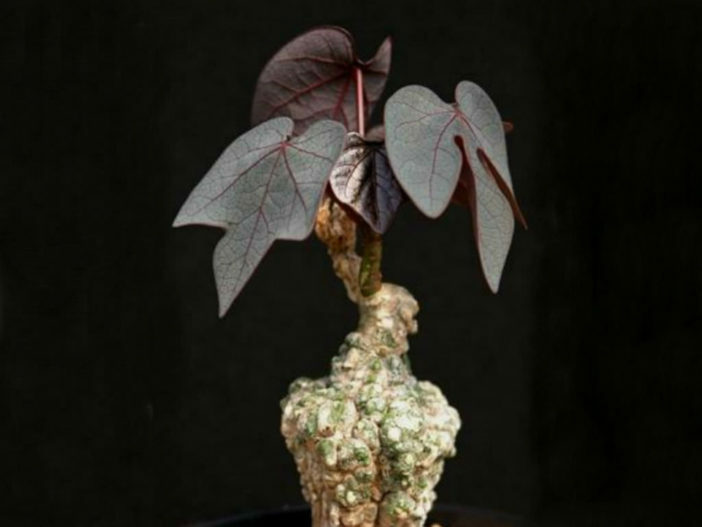 The caudex can grow up to 6.7 feet (2 m) tall (usually less than 20 inches/50 cm tall) and up to 12 inches (30 cm) in diameter. 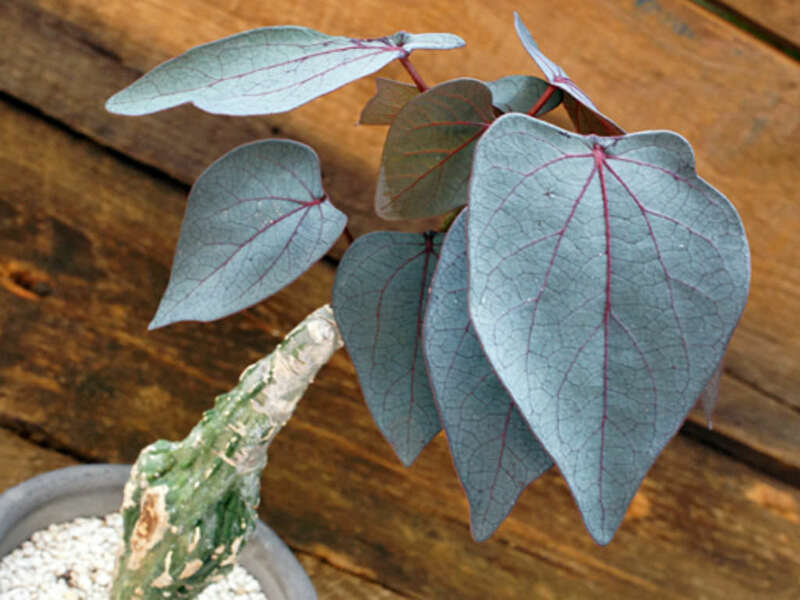 The leaves are heart-shaped or bell-shaped, purple-violet to dark green with dark red veins. Male and female flowers are borne on separate plants. 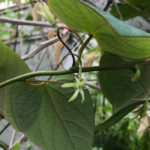 The flowers are pale yellow or greenish white and open on the tendrils in the spring and summer. Adenia plants are summer growers and can be watered and fed regularly if planted in fast draining soil. Let the soil dry between watering if you are in a humid climate. Most of your growth will be during the warm season and the plant will have the most leaves. 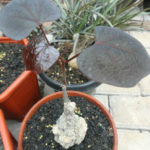 The plant will also grow best with the leaves exposed to bright light, but the caudex shaded. During the cool months protect the plant from frost to keep it alive. The plant normally rests during this period and water should be kept to a minimum. However, you can keep the plant active, if you can keep it above 50 degrees Fahrenheit (10 degrees Celsius). 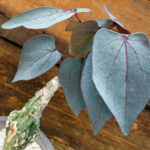 Their sap is poisonous, and they should be handled with caution, particularly when pruning. 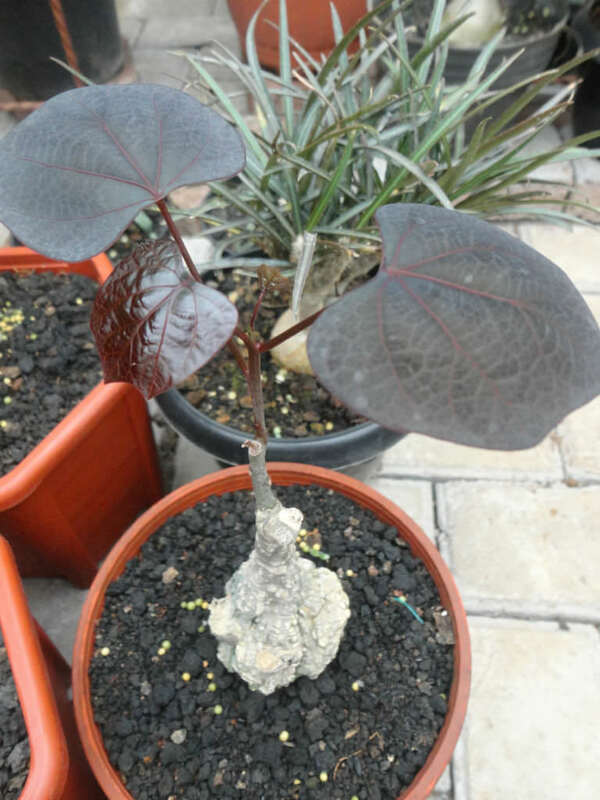 Most cuttings do not produce a caudex so it is best to propagate by seeds. 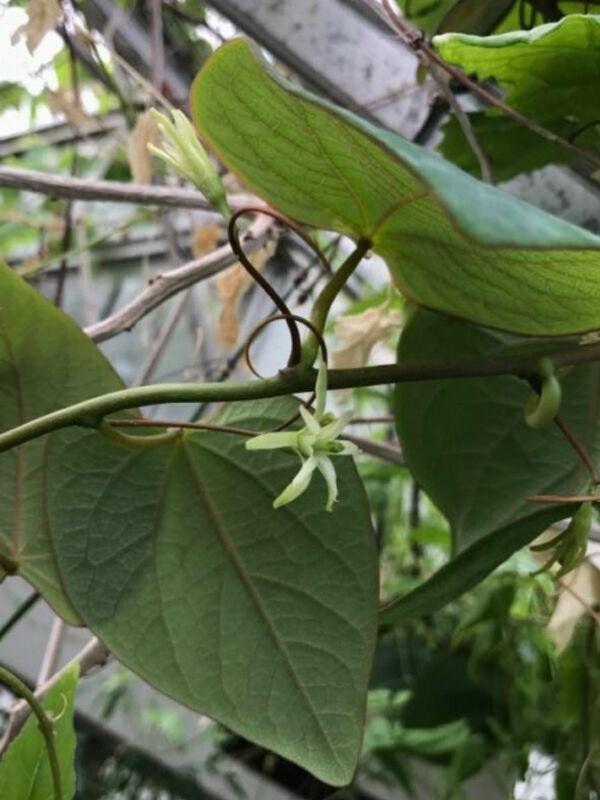 Adenias are either male or female so one of each is required to produce seeds… – See more at: How to Grow and Care for Adenia.